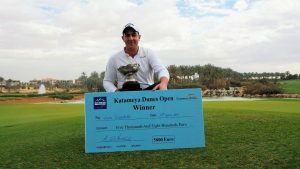 Weather conditions were milder today in Egypt at New Giza Golf for the second round of the New Giza Open, although still not what you would expect in this part of the world, with the wind blowing at peaks of 30 km/h and temperatures fluctuating between 13° and 18°. 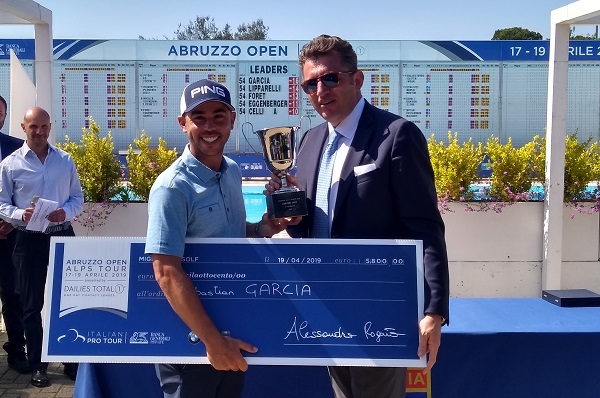 Whatever the weather, it was another perfect day for Italian rookie Lorenzo Scalise, who added a 66 (7 birdies and one single bogey) to the 68 he signed yesterday and is now one stroke clear of Dutch Lars Keunen. 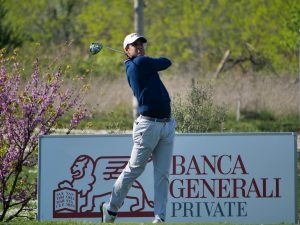 With eight birdies and one bogey Keunen, 21, at his second year on Alps Tour, climbed five positions on the leaderboard – yesterday he was tied 7th with a 70 (-2) – and is now owner of the new course record, 65 (-7). Alone in third position at -7, is rookie Frenchman Pierre Pineau (71-66), 19, also successful at the Qualifying School last December as Scalise and Parisian Frederic Lacroix, who sits in fourth position at -6 (72-66) tied with first-round leader Julien Foret. 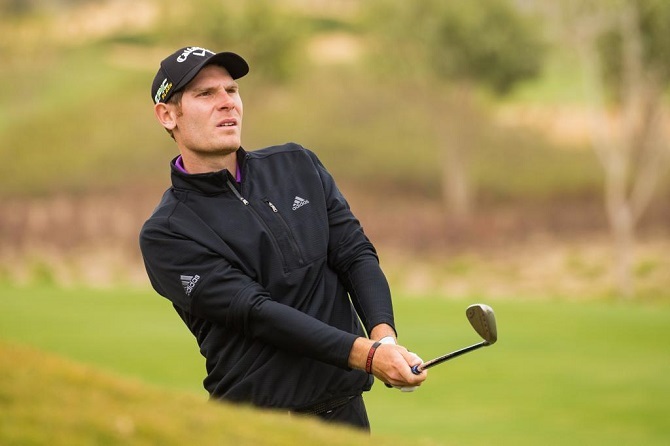 Lacroix, winner of the first tournament of the season at Sokhna, the Ein Bay Open, today climbed 19 steps in the rankings (he was tied 25th yesterday) ; his same second-round score 66 was posted by Argentinian Martin Contini (9th place, at -4) and Spaniard Angel Hidalgo Portillo (15th place, at -3). 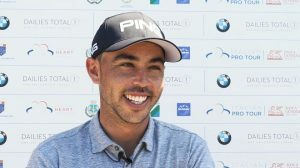 « I’ve played even better than yesterday – said Scalise, 23 – the quality of my shots was certainly higher and I hit my drives well, this was one of the goals I had for the day ; I’ve also made some more putts, which always helps. The first holes were the key, I’ve started strong – I was minus 3 after 6 although it was cold and quite windy, and then in the front nine (my back nine actually, since I’ve started from hole 10) from hole 2 to 5 I could save pars and take advantage of two more birdies. Now I’m exactly where I wanted to be, on top, and if I can keep this rythm it will certainly be an interesting and amusing day ». 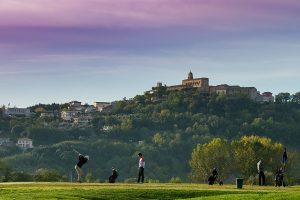 Fifty players made the cut on level par, among them only the 4 amateurs will not share the 40,000 euros prize money at stake.